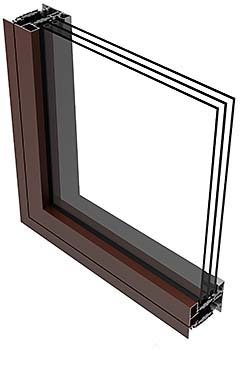 INvent.PLUS Series windows deliver R5 performance for operable units and R6 for fixed windows, with U-Factor as low as 0.16. The 3-11/16-inch frame depth incorporates 44mm polyamide thermal barriers, and convective baffles and foam cavity fillers. Sound Transmittance Class ratings of 34 to 41, and Outdoor-Indoor Transmission Class ratings of 28 to 35.